Lionel M. (Lonnie) Schooler is an attorney in the dispute resolution section of Jackson Walker in Houston, Texas. 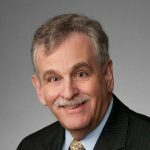 He has served as the Chair of the Alternative Dispute Resolution Section, of the Houston Bar Association and the chair of the Alternative Dispute Resolution Section of the State Bar of Texas. 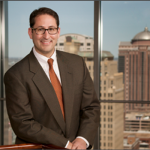 Luke Gilman is an attorney specializing in arbitration and media and technology-related disputes in the litigation section of Jackson Walker in Houston, Texas. He is the founder and Editor in Chief of TexArb. He welcomes your suggestions or potential contributions for the site. Email him at editor@texarb.com or fill out our contact form. TexArb is an unpaid labor of love by its contributors. If you have a suggestion or potential contribution to TexArb, email Luke Gilman at editor@texarb.com or fill out our contact form.